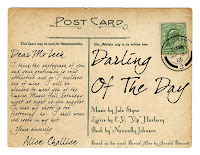 It is appropriate that the Union Theatre, which has a reputation for fresh perspectives on old shows, has given Darling of the Day, a forgotten musical from the 1960s, its first European Revival. The show with music by Jule Styne ran on Broadway for only 31 performances and attempts to revive over the years have stalled. Perhaps the reason it has been ignored is that it is just not a fashionable show. 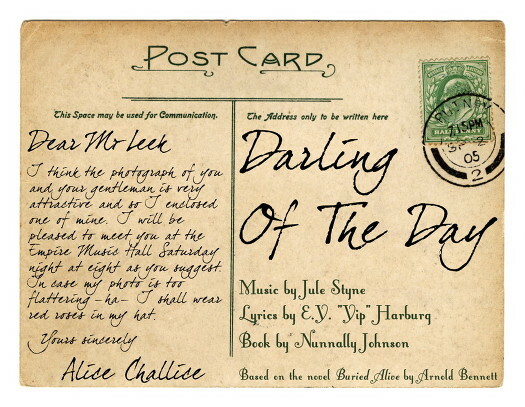 The story revolves around a famous artist in Edwardian London who seizes an opportunity to assume the identity of his butler and fade away into an upper working class existence. The score isn't full of memorable songs, but with its take on old love (or rather two more mature leads who get married), the show is intriguing and mostly harmless fun. This production at the Union probably gets the best out the material in its small spaces and lovely lighting. The cast are also likeable, although the director thanked everyone on press night for their understanding as a dreadful virus had taken its toll on the cast. No doubt as the run progresses and they lose the bloodshot eyes and Lemsip dependency they will get the chance to show the material in its best light.